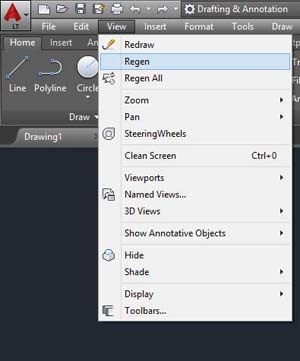 Let's see “Regen” function (regenerating drawing), this command makes the AutoCAD regenerate the drawing to the screen. Try to draw one or more lines and then with the mouse wheel do a “zoom”, as far away as possible from the drawn lines. “View > Regen” , then we can still continue to move away from the drawing by zooming up to the next block, where we continue to invoke again the command “Regen”. What happens then, the program reached a certain percentage of the zoom no longer able to handle graphic design, and indeed should “optimize” to continue. This will become clear when we draw circles or arcs, in this case in fact moving away from a circle to having to use the "Regen" and then reconnecting it, you will notice that the circle is multifaceted. We see design as well because it has simplified by the program, but only in terms of graphics on screen. Again using the command “Regen” in fact, we will show again the circle or arc, correctly. Therefore, when you happen to zoom a circle and see it multifaceted, you know it's for this reason and you just have to “regenerate the drawing”. Remember also that this is only an approximation in terms of graphics on the screen; if you print it would normally appear on the paper. 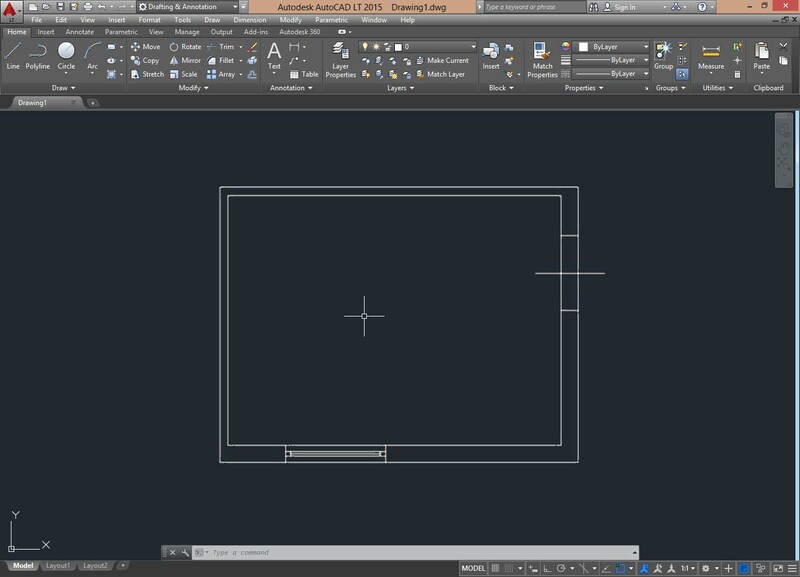 With the “ortho” and “zoom” functions, although limited, you should be able to take their first steps and draw simple objects, such as the plan of a room, a table or the prospect of a library, with the size down. Experiment, simply start from a horizontal and a vertical one that could be two walls of an hypothetical room, then with the offset will create the opposite walls at the desired distance (think of the measures that can actually have a room) and join the All with “fillet” or “extend” and “trim”. Later, by the “offset” command, you can give depth to the outside walls and then join again. Try to understand these commands and consider them collectively as the basic tools for drawing. The first few times you will be a little difficult, but it’s only a matter of practice, take heart that we are only at beginning!